September’s dawn hesitates with each new morning, weary perhaps from the busyness of summer’s unceasing activity. The long daylight hours are filled with a multitude of treasured moments to remember throughout winter’s dark freeze. Cooler nights and shortened days herald the transition of seasons and prepare us to embrace the change. Our summer certainly was filled! A June wedding, God’s gift of a fresh start, in Nevada and our own 46th anniversary of life together. A jam-packed family camping adventure with hiking, fishing, biking, boating, lounging, campfires, games and giggles topped July’s memory making attempt. Mid August brought the completion of internship closing the chapter of Master’s Commission training. We laughed with friends marking birthdays from the north and south. Many moments captured forever in our grateful hearts! As I consider personal transitions, the most dramatic came with marriage: single to united, independent to interdependent, under my father’s protective wing to another man’s, enjoying the benefits of my childhood home to making our own. Marriage brought a lot of change, that continues to this day. Seasons predictably come and go! Here in the northern hemisphere, the transitions may come subtly but the changes can be drastic! The church that began with the apostles over two thousand years ago has seen major transitional changes, as well. Each change acutely different from the one before; each sparked by a fresh dawn of revival, while restoring an element of something lost. With the Reformation and Luther nailing his 95 Theses to the door in Wittenberg in 1517 came an awareness that salvation is by grace, and grace alone. It cannot be bought, earned or waggled into. The price of redemption paid in full! Jesus death and resurrection is forever enough! Nothing added and nothing taken away! This cosmic event bridged the great, dark chasm between God and humanity. Now that’s enough to make one dance, leap and shout with joy! However, it didn’t take the church long to grow lethargic. Another transition was needed to stir up the greying coals of revival. Prayer is always the unseen channel of fresh fire. It would take Edwards, Wesley, Whitefield and others to again stir the church reviving and awakening the desire for evangelism. The church jolted to action! God’s grace is for all! For the first time since the evangelistic wave of the apostles, “go” was back in the “go”-spel! The church took seriously the commission to bring the Good News to all peoples! But how does one effectively go without the tangible Presence of the Lord? There were many forerunners to the outpouring of the Holy Spirit at Azusa Street in 1906: D. L. Moody, Maria Woodworth Etter, Charles Parham, Evan Roberts and more. But Azusa Street became the fault line of the greatest quake of change in the church since the original Pentecost of the Book of Acts. and they will speak in new languages. and if they drink anything poisonous, it won’t hurt them. Every shaking of revival transforms those willing to change. Recoil or embrace? With each restoration of truth, fearless, faith-filled, hungry, even desperate, God seekers step from the familiar and welcome the inexplicable grace of God’s open hand. The most current transitional change broke forth with fresh awareness of the goodness of God, a revelation of the Father’s heart. With impeccable timing, it broke into an environment plagued by fatherlessness. The Historical Atlas of the Twentieth Century quotes deaths through wars and oppressions alone totalled more that 188,000,000. The twentieth century became marked as the most lethal in mankind’s history. Each death represents families broken. Millions of fathers snuffed out, removed forever! God’s heart most certainly must have wept over man’s ability to annihilate and destroy! Great grace flooded over chaos with a tsunami wave of His open heart of love through the Toronto Blessing. The impact continues worldwide! While the outpouring of Holy Spirit at Azusa Street created more denominational divides than any other movement, the revelation of the love of The Father has drawn denominations together like no other. Wait! Pardon me for mentioning it, but my bible neither starts nor ends here! There is more! The first act of God in Genesis was to prepare a garden for the union of a special couple, Adam and Eve. It was a place of constant fellowship between God and man, filled with peace, joy and unbridled communion. The last act of God in Revelation is presenting the bride to The Bridegroom. Can you imagine that wonderful day? Every season of change for the church, every transitional wave of blessing and revelation, is for one purpose! The bride prepares for the Bridegroom! Pulled close by His grace, the global church rises with arms reaching all. She is alive in the Spirit, immersed in the Father’s love. She is being slowly transformed into the likeness of The Bridegroom. Christ is coming back for a bride fully representing His heart, His character, His nature and His glory. He will not be unequally yoked! “The bride has made herself ready!” There she will stand, a glorious church filled with strength, dignity, purity and honour. However, to be ready, she must be willing to embrace change. 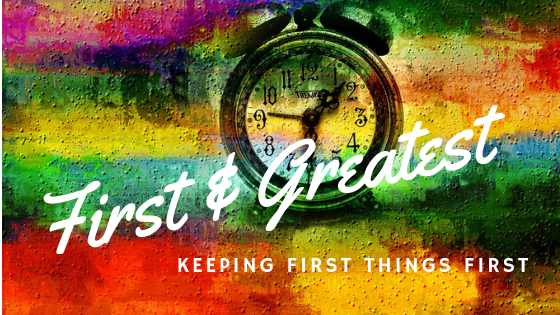 The same transitions that have occurred corporately are to be approached personally and intentionally as well. 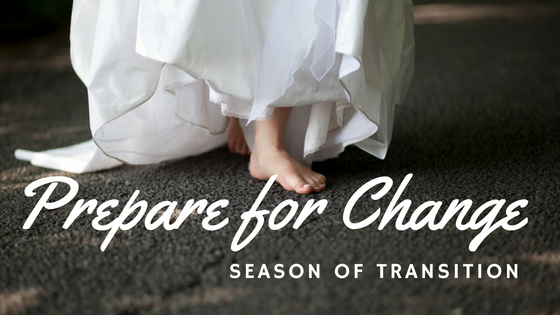 Welcome each season with confidence that every change is, in fact, a preparation for the Bridegroom. Get excited! The wedding day is perhaps closer than we think!